More than 85% of homes in America have hard water. Hard water is usually not harmful to drink, but it can damage your plumbing. If you notice lime scale build-up on your faucets or sink drains, or if soap does not produce suds when combined with your tap water, you may have water with high mineral content. An electronic descaler may help you to avoid costly repairs to your plumbing in Fort Lee, NJ. To hear more about descaling technology, call BZ Dependable Plumbing & Heating Inc. today. White or light green build-up on faucets, drains, at the base of pipe connections. This is the mineral content left after the evaporation of water. If you see it there, just imagine what the insides of your plumbing look like. Decreased water pressure. 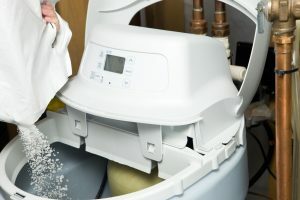 If systemic scaling has already occurred, then you may already notice a slightly obstructed water flow due to the build-up of scale on the insides of your pipes. Dishes covered in spots. If you notice that your dry dishes have spots, it could be an indication of hard water. No negative impact. It provides clean water right away. Prevents biological contamination of your water supply. In areas where backflow is a concern, or in rural areas where water quality has to be monitored by the individual homeowner, the Krystal Klear excels at producing high-quality drinking water. Keeps minerals in the water. Unlike other systems that remove the beneficial mineral content entirely, our electronic descaling technology merely changes the chemical structure from a bicarbonate to a carbonate, so that the minerals are actually easier to absorb. To learn more about Krystal Klear electronic descaling technology and how it may affect your Fort Lee, NJ home, speak to an expert at BZ Dependable today.